New Zealand, a member of the Commonwealth of Nations, is in the process of updating its Burial and Cremation Act of 1964. The Law Commission invited submissions from citizens, stakeholders and experts on how to improve the current law (the Green Pet-Burial Society was among the respondents). So in November 2013 I formed With Our Loved Ones (WOLO), an ad hoc group of New Zealanders and supporters dedicated to the formation of whole-family cemeteries in NZ. We submitted our proposal to mandate that public cemeteries – funded by local council property taxes – set aside areas where the remains of companion animals may be buried with those of the human beings who loved them (we encourage private cemeteries to do the same). There is renewed interest in such practices which have occurred in various cultures since at least 14,000 years ago. New Zealand law permits local authorities to modify burial rules within their region, while non-profit trusts regulate private cemeteries. I’ve recently learned that only the Christchurch City Council’s Cemeteries Bylaw, June 2013, 1.4 (including Christchurch City and the former Banks Peninsula District) specifically limits the burial of pet remains in human cemeteries. All other regions allow each cemetery’s custodian to decide on special requests regarding “grave goods” (i.e., objects placed in graves, caskets or burial chambers), which would include a pet’s remains since pets are legally considered to be property. Despite this latitude in law, the burial of animals in New Zealand’s human cemeteries has not been normative. No human cemetery in NZ expressly allows for the full-body burial of an animal’s remains, and most people don’t even know that such an arrangement could be an option. Currently, the most common practice for dealing with a pet’s remains, in addition to backyard burials, is cremation. Rachael Ford. 2014. Untitled. Oil on canvas. Private collection. Upon speaking with a few undertakers, two confided that, over the years, many urns holding pet cremains had been secretly tucked into caskets holding human remains. While not illegal, such practices are discouraged by many funeral parlors. These same undertakers expressed their preference to not publicly advocate for this practice out of fear that others may try to get it legally banned, thereby preventing them from continuing to accommodate bereaved families in this way. It is apparent from our Local Authority Survey that requests for the interment of animals, or their cremated remains, are becoming increasingly common. In some cases the request is to inter the remains with the pet’s owner. This review of the cemetery law was largely given impetus by a dispute between the tribe of a deceased Māori man and his Pakeha wife over the proper burial place for the man’s body. In Māori culture, the deceased are traditionally buried with their tribal family of origin in their tribal cemetery, even if this was not what they or their immediate family wanted, as in this case. In 1840, the signing of the Treaty for Waitangi outlined the legal coexistence between the British Crown and indigenous Māori Tribes, although New Zealand and the Tribes continue to dialogue over where the boundaries of powers lie. While the NZ Law Commission’s review of the cemetery law encourages public comment about such conflicts, they have also welcomed comments about all aspects of current cemetery practices. 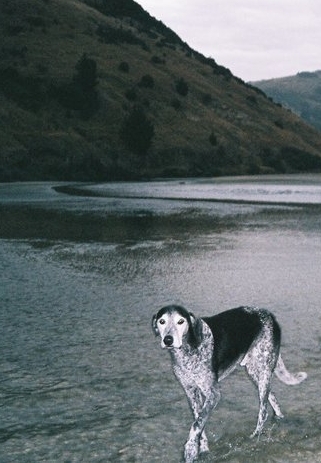 How might the Māori regard the interment of animal remains in a human cemetery? Animals figure prominently in Māori tradition. The Māori believe they share a common whakapapa (ancestry) with other animals as well as with all the components of an ecosystem which are believed to possess spiritual qualities. Bones from humans and other animals are regarded as receptacles of spiritual essences from the gods, and were carved at times to honor interspecies kinship (for more information, see A New Zealand Book of Beasts). While they acknowledge the spirits of dogs and other animals as well as meaningful relationships with animal guardians (one view is that they are protective deities), burial with animal remains isn’t factored into traditional death rites. Different life forms are believed to have different essences, and honoring those essences is what governs death rites. However, archaeologists uncovered one historic site in Tauranga where a dog received a full-body burial with rites on chiefly ground. In our family plot we have spaces allocated for many, next to their loved ones, for the future generations. I’m sure a person could request that when their pet dies, they may be buried at their feet. Māori kawa (protocol) can be flexible. My whanau (family) – I don’t think would consider [it as] a mixing of DNA; instead, I wonder if they would look at the wishes of the dearly departed. Religious beliefs also play a role in the policies of government-regulated cemeteries. The New Zealand Bill of Rights Act 1990 (Section 15) states that “every person has the right to manifest [i.e., act on] that person’s religion or belief in worship, observance, practice, or teaching, either individually or in community with others, and either in public or in private.” This is now interpreted by some NZ cemeteries as mandating them to provide denominational areas for subcultural creeds. Ideally, this would also apply to such groups as environmentalists and families with animals whose values bear directly on forms of disposition. I would describe religion…as a spiritual or non-secular belief system [i.e., ‘which goes beyond that which can be perceived by the senses or ascertained by the application of science’]… which claims to explain mankind’s place in the universe and relationship with the infinite and to teach its adherents how they are to live their lives in conformity with the spiritual understanding associated with that belief system. (quoted here, page 17). The author and Beulah – last days. Last year, my own dog’s sudden hospitalization was a foreshadowing of his untimely demise. The house in which I delivered weeks of intensive palliative care became cold and strange in his absence. Upon saying our goodbyes, his eyes communicated an overwhelming message of love – Beulah’s sorrow at leaving surpassed any I’d ever seen (I’ve seen my share as a hospital nurse, but this was personal). As his life streamed away, he looked resolute. Like a wolf who howls the moment a pack member passes, he knew it was over. Then, the anti-climax – I needed to begin making practical decisions about his body. There is no fix, no restoring of life – focusing on funerary details is a common way to process one’s grief. With a green burial, the remains break down gradually; knowing this fosters a gentle, incremental grief, as one’s connection to materiality softens and mourning lightens. Laying the deceased in earth curled up in a foetal spiral was a comforting final sight. In both Celtic (my own ethnic background) and Māori cultures, the foetal spiral (koru in Māori) represents original creation, growth and family connections. It is right that Beulah’s minerals return to earth nourishing life’s flames. Yet let it be in a place where respects may always be offered. Beulah enjoying a walk in water. Many may feel likewise though the words may not always be spoken. In a trend discernible since the 1980s, pets have been increasingly perceived as actual family members. At times of death and bereavement, many of today’s species-blended families require, along with spiritual sustenance, provisions for whole-family burial grounds. It’s heartening to see cemeteries in the US, the UK, Japan and Germany lead such a revival – more options ought to ensue here in New Zealand. Most local authorities sought some policy guidance on the acceptability of interring animal remains in public cemeteries. Although this issue has been raised in several survey responses, it is peripheral to the core subject matter of this review. We consider that the legislation should remain silent concerning the burial of animal remains, or ashes. Cemetery managers who wish to allow animal interments may do so, and may of course control the burial of animals through bylaws or policies. – Chapter 4: Burial in New Zealand today: an overview of the current practice 4.55. Note: This passage also references a Christchurch bylaw disallowing animal burials in human cemeteries (see footnote 169). Upon further investigation by WOLO, we learned that the clause in question was inserted by a former regional director and is not official policy. Keane, Basil. ‘Kurī – Polynesian dogs‘, in Te Ara – the Encyclopedia of New Zealand, updated 22-Sep-12. URL: http://www.TeAra.govt.nz/en/kuri-polynesian-dogs/page-1. “New Zealand Legally Recognises Animals as ‘Sentient’ Beings,” AnimalEquality, last modified December 5, 2015 http://www.animalequality.net/node/703. Potts, Annie, Philip Armstrong and Deidre Brown. 2013. A New Zealand Book of Beasts: Animals in Our Culture, History and Everyday Life. Auckland University Press. Sullivan, Courtney Leone Taumata. 2012. Te Okiokinga Mutunga Kore – The Eternal Rest: Investigating Māori Attitudes towards Death. M.A. thesis. Te Tumu – School of Māori, Pacific and Indigenous Studies, University of Otago. Visit our International Cemetery Directory to keep track of whole-family cemeteries and green pet cemeteries around the world. 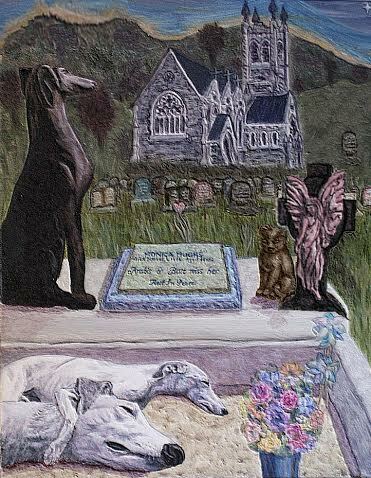 This entry was posted in animal, burial, cemetery, companion animal, compassion, green burial, pet, pet burial and tagged animal, bereavement, burial, cat, Celtic, cemeteries, Cemetery Law, companion animal, conservation, dog, environment, grave, grief, Inspiration, Maori, mourning, nature, New Zealand, religious beliefs by Eric Greene. Bookmark the permalink. We agree duck – many people are now finding such expressions of love to be quite normal. it should be allowed and not banned.